Hello, I've not found any answers in the forum for my problem. I have Win 7 64 bits, a lga 1366 mobo with Intel 975 and 2 hdd on raid 0 and 6gbs of Corsair platinum pc3 1600 ddr3 that soon will become 12. I installed Ram Disk but at the end of it it stopped while it was modifying the registry, the progress bar went almost to the end and stopped there. After a long while I closed the installation yet the program icon was present, I tried launching the program from it but a warning window opened saying "Initialisation of VVLIB failed". Closing this window would launch the program but with no options available. I tried to uninstall the program but a warning window stated that the "unins001.dat file was corrupted". I then tried reinstalling with the exact same result. Please tell me what to do or at least how to uninstall it. Thank you in advance. Note: I have noticed that after this problem happened Intel Processor Diagnostic Tool 64bit will not launch but was working fine before. I am afraid this issue isn't reproducible in our test environment. I guess something in your system prevents it from working correctly, though I am not sure what it could be. If you don't have those entries and files, it means either the product is not installed, or you are looking in a wrong location. Why the pop up shows this message: Uninstall has detected that SoftPerfect RAM Disk is currently running. It shown after I log on to window. If the installer says it's running, it's really running. You can check in the Task Manager for the process ramdiskws.exe or if there's an icon in the notification area (which may be hidden by Windows). Thank you for your help. It is all done successfully. Hi, I had a similar problem with my Win10. Can't uninstall completely. Tried removing files as you mentioned. However, when I tried to delete the file on Windows Program, the message says "The action can't be completed because the folder or a file in it is open in another program"
This may happen because Windows 10 locks the app's driver as well as the app itself if it's running. You can try starting Windows in safe mode, quit the RAM Disk app if it starts and then delete the folder. The same here on my Windows 10 computer: I deinstalled the old version, delete registry keys and files, did it in safe mode, executed as administrator, ... nothing helps: always "Initialisation of VVLIB failed." Also tried older versions (to get back my RAM disk), but nothing works anymore: initialisation of VVLIB failed. Most likely it's a driver signature validation issue. Take a look at the file C:\Windows\Inf\setupapi.dev.log, if its last lines mention signature verification issues, that's the reason. There is however no known solution for this issue, you can try disabling the driver signature enforcement before installing the RAM Disk. Suddenly have Initialisation of VVLIB failed. Had version 3.4.7 on windows anniversary update for months without troubles, but suddenly after reboot I got this. Uninstalling and installing 3.4.8 did not help. Constant Initialisation of VVLIB failed. Try rebooting with driver signature enforcement turned off to see if that's the case. After reboot I get same error. Can we find and kill this error? It is not just me being greed and not willing to pay $20 for dataram soft, I liked your soft and it was working well. That actually means it worked. Driver signature enforcement is turned off only for one session. So after you rebooted, it was on again. I am not sure how to deal with that, perhaps disable secure boot, but you do it at your own risk. Disable secure boot is not a option at all. So is this meat that RAM disk is incompatible with windows 10 anniversary update? It is not compatible with Windows 10 Anniversary Update where Windows was installed from scratch and secure boot is enabled. In that case it requires a Microsoft signature and an EV-certificate from us, which we don't have yet. It is my case. Got it, thanks. Any plans to obtain this certificates in future? HKLM is a common abbreviation of HKEY_LOCAL_MACHINE. It is explained in more details here. Any change to the driver signature situation? We have ordered an EV code signing certificate, it should be in place for signing in a couple of weeks. Are you experiencing the same issue where the RAM Disk's driver refuses to load on a new Windows 10 installation? I am getting a BSoD at the end of the installation. BSODs are a different story: it means something went really wrong, but not necessarily in our RAM Disk app. 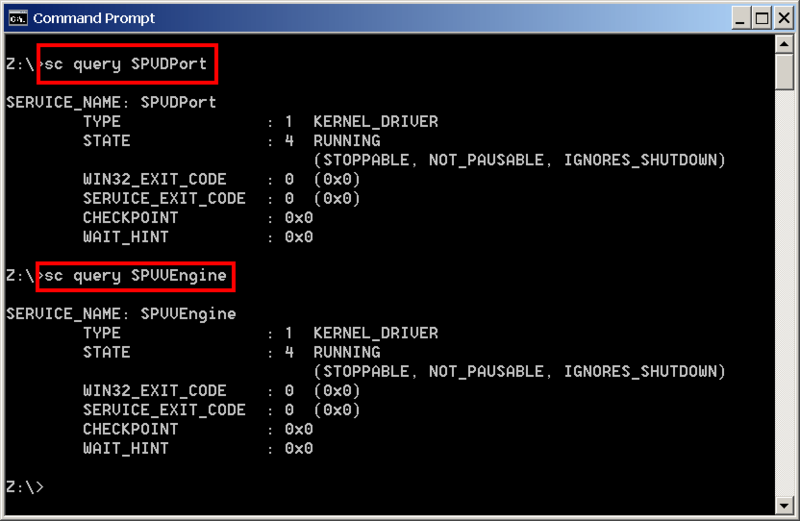 When a system crashes with a BSOD, it usually creates a kernel minidump in C:\WINDOWS\Minidump. Please send us the newest minidump file from that folder, so we could have a look at the issue. I am having similar problems when trying to upgrade from 3.4.7 to the latest version. I have removed the registry entries, rebooted, removed the files under system32\drivers, rebooted again. Then I tried to install the latest one but the installation failed right before finishing and prompted "The name is already in use as either a service name or a service display name". And may I ask if there is any performance gain in the new version, except those mentioned in changelog, like faster init time and zeroing ntfs etc? I ask because I have got around 5k read/write with 3.4.7, and I have another ram disk app to mount a file image which can have 9k read if it's created in the virtual memory. But if it's created in phy mem, it's about 6k read. Why the difference is so huge especially when using virtual mem? PS I don't have any virtual memory set in Windows, i.e zero vm/pagefile. Yeah I remember reading somewhere that there might be issues when it's > 4gb, but it's fine for me since mine is less than 4gb. Regarding which application to use, well it depends on what I/you/a user need. Your RAM Disk definitely has advantages over others in some areas and others too - that's why I use both , it may be just my preference but I love SoftPerfect RAM Disk and have been using it for a long time. Sometimes you can get the answer faster if you try the forum search and/or have a look at the software user manual to see if your question has already been answered. If possible, check your spelling and grammar. Spam prevention: please enter the following code in the input field below.